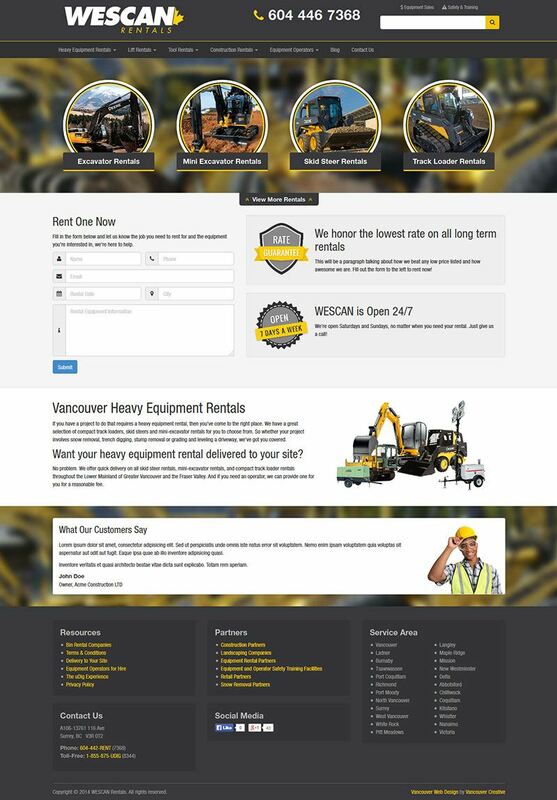 Wescan Rentals is an equipment rental company based in Surrey, BC. They needed an easy to use and visually appealing website developed to showcase their rentals to visitors on computers, tablets & handheld devices. We designed a fully responsive website for them in Drupal with an intuitive inventory management system.